 Health Care Job Growth Remains On Upswing - ONRAD, Inc.
ImagingBiz | The health care sector continues to flourish, adding more than 37,000 jobs in April 2011 and 295,000 jobs since April of 2010, reveals employment data released last week by the Bureau of Labor Statistics. Jobs in ambulatory healthcare services have shown the strongest and most consistent growth over the past year, with 21,500 jobs added to the rolls in April. Employment in this sector rose by 2.8% to more than 6.1 million—an increase of 169,000 jobs—for the one-year period. Demand for health care jobs in hospitals has also remained strong, with more than 10,000 jobs added since March and a total of nearly 60,000 added since last April. The only healthcare niche that saw job declines from March to April was that of nursing care facilities, which saw payrolls shrink by 1,200. However, job levels at nursing facilities still remain at about 30,000 above 2010 employment levels. Yet this may not be the case for long. According to the “Help Wanted OnLine Data Series” published by the Conference Board, online job postings for healthcare showed the largest decline of any sector, with 28,600 fewer positions posted in April than in March. On the positive side, the healthcare practitioners and technical jobs continued to have the third highest volume of any industry with 568,500 new jobs posted in the month. This trails only computer and mathematical science and sales jobs for total open positions. Declines in job postings were greatest for speech-language pathologists, occupational therapists, and physical therapists. Online advertisements for healthcare support occupations also fell by 11,400 to 129,100. Moreover, across all industries, the volume of online job postings decreased by more than 123,000 for the month. “While the number of ads relative to the number of unemployed in all of the major occupational categories deteriorated during the recession, for some relatively high-wage, high-tech categories there were always more advertised vacancies than unemployed looking for jobs,” notes June Shelp, vice president at the Conference Board. This is especially true in healthcare. While some industries, such as food preparation and serving, have nearly eight unemployed people for every online job posting, healthcare is one of only three industries that has more vacancies advertised than people out of work. In April, there were nearly three vacancies posted for every one unemployed healthcare worker.